The Windsor Hotel in Hermanus / Gee Whiskers! 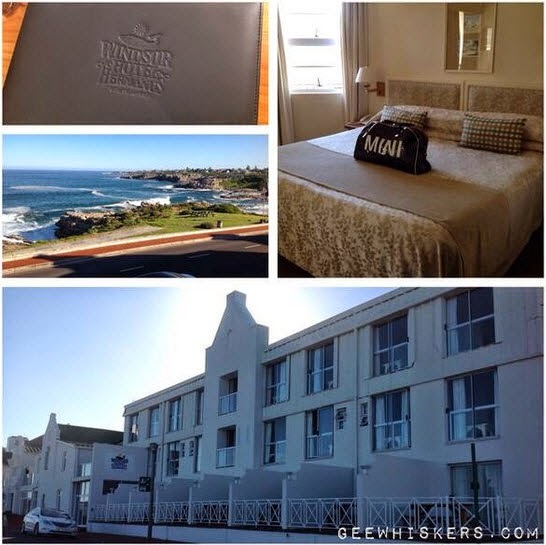 In January, Lauren from Lipgloss Ninja organised a Cape Town Blogger meetup and inside our amazing goodie bag we received a voucher for a free night's stay at The Windsor Hotel in Hermanus. I always enjoy trips to Hermanus not only because of the beautiful route to it, but also the fantastic restaurants and picturesque views of the ocean and mountains. We arrived Saturday afternoon on a really beautiful sunny day. We were very fortunate because the weather in Cape region has been rather unpredictable with scattered patches of really wet weather. This allowed my fiancé and I to really enjoy the walks along the sea front and take in the sunset. The hotel itself is a three star hotel that was built in 1896. Due to its age, the hotel has a charm to it and the rooms are not modern, however everything was spotlessly clean and I actually really liked the cosy old world charm of the place. It offers a relaxing stay at really affordable prices - when you consider its location and the view it has, they could easily turn it into a hotel that most could not easily afford. The double non-sea facing rooms are R750 per night and the sea view rooms are R950 per night. We spent a bit of time in the room and then decided to head out for supper. The location of the hotel is literally a two minute walk away from many great restaurants and the main seafront area. After a great meal we returned to our room to find the hotel calm and quiet which made for a good night's rest. In the morning we headed downstairs to the breakfast lounge where you can enjoy a full breakfast overlooking the ocean. It was such a wonderful start to the day and we left the hotel knowing we would definitely be back again. Thank you to The Windsor Hotel for the friendly service and peaceful stay. We had a fantastic time! 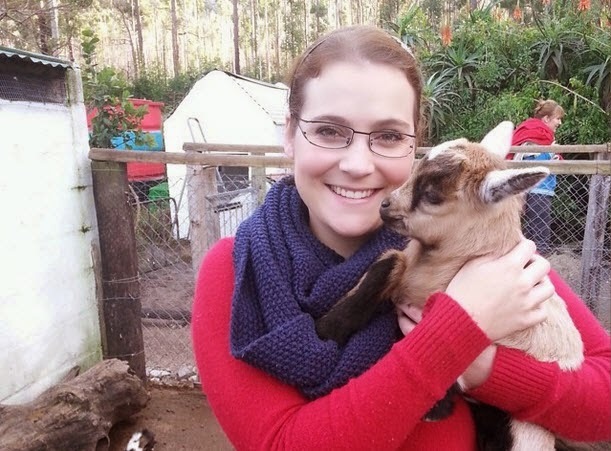 Outside Hermanus on the way to Stanford is the Rocklands Petting Farm. My fiancé and I discovered it last year and whenever we are in the area we pop in for a visit. It is only R10 entrance fee per person and is the type of petting farm where you can enter all enclosures and spend time with the animals. I particularly love going to see the amazing goats! Hope you all have a wonderful day. At least we are getting closer to the weekend! Wonderful mini break. That little goat looks so cuddlable. Oh I must go try out that Hotel! Thanks for the post!